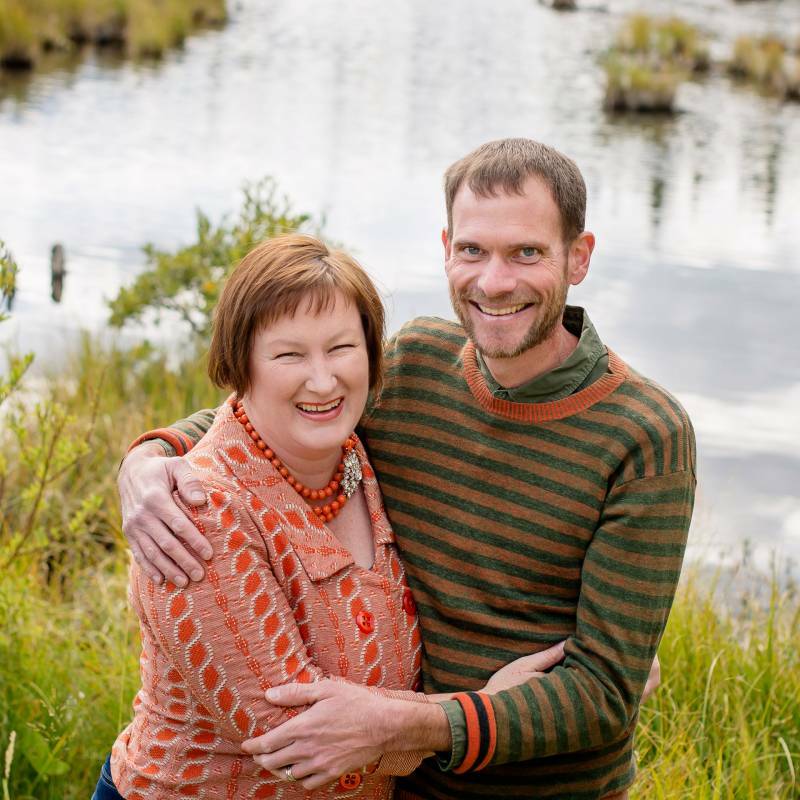 I am incredibly lucky to have my husband, Kevin, working with me as my full time assistant. Kevin knows me better than anyone and instinctively knows what I need for each shot often before I ask for it. On a wedding day Kevin carries ALL of my gear for me, drives us to photo locations, does my lighting for me, makes sure our couples are comfortable with snacks/band-aids/scissors and anything else that makes portraits go as smoothly as possible for them. During the week Kevin preps for all of our weddings by meticulously cleaning all of my lenses and cameras before every shoot, charging all of our batteries, packing our gear, detailing our car in case we need to drive the wedding couple around and stocking our camera bags with hand warmers and protein bars for when I don't get to eat lunch but will bonk if I don't have something to sustain me. Because I know that Kevin is prepping everything needed for the wedding day it allows me to edit all week long to get couples their photos to them as soon as possible. Often when Kevin comes home from a mountain bike ride or a hike he'll invite me out to show me a beautiful spot he saw while out riding that he thinks I'll like for a wedding day photo location. Most importantly Kevin makes me smile, laugh with ridiculous jokes and keeps me calm and focussed. It's such a gift to be able to work alongside my husband. While I am working on framing up a shot and getting my lighting the way I want it for a shot Kevin will move in and fix a bride's dress, put the groom's phone in our camera bag so it's out of the shot and if weather moves in Kevin will move in quickly with umbrellas to make sure our couples are comfortable and protect my camera gear. He's quick to offer to carry the bride's shoes or bouquet when we're walking to photo locations so she can move freely. Kevin's height works to my advantage because he can reach spots that I can't for hanging dresses. Being able to stand back and frame up the shot while Kevin makes adjustments means I can work quickly and keep an eye on the details. I ordered these handsome black umbrellas from Vancouver so I would have a matched set for photos that didn't have logos on them. Kevin brings them to all of our weddings no matter what the season and moves in to cover couples when needed. I always print out the family formals list that my couples send me and Kevin's put them in my camera bag. While I'm setting up lighting for formals Kevin lets me know about any special requests and reviews the list so that we both can make sure we capture the requested photos. Sometimes I like to include a little veil movement in my photos and Kevin makes that happen. In the winter I love magical unexpected snowfalls and LOVE bringing couples out for a few moments to capture that. Because I don't want to keep them away from their reception for long Kevin will test my lighting with me in advance so that when the newlyweds pop out we are prepared and ready to shoot. Kevin always jokes and keeps me smiling throughout the day. I feel so lucky to have such a kind and compassionate husband to share this career with. Having my husband by my side as we witness couples share their vows with each other is inspiring to say the least. I began photographing weddings the same year that Kevin and I got married so the two have always been connected. 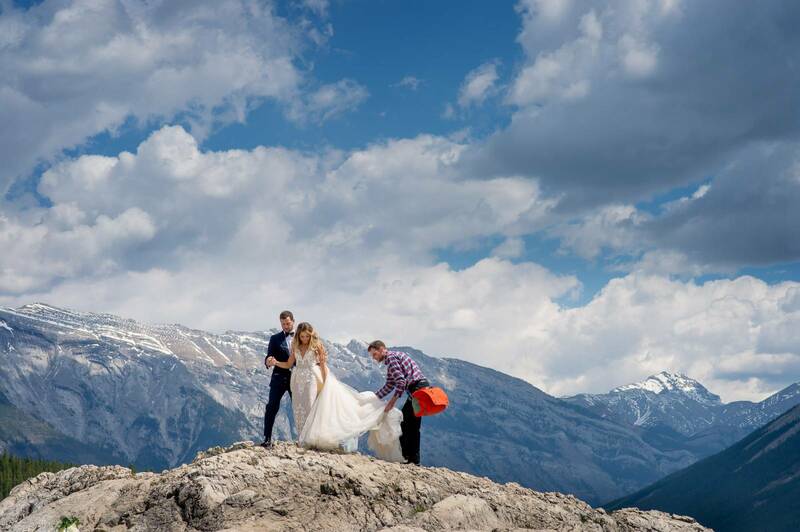 We are always so honoured to get to sign as the legal witnesses for couples who elope in the Canadian Rockies. Kevin is a fantastic mountain winter driver and gets us to all of our weddings with lots of time to spare so we can start the day feeling calm. Always quick to make me laugh with his posing suggestions. 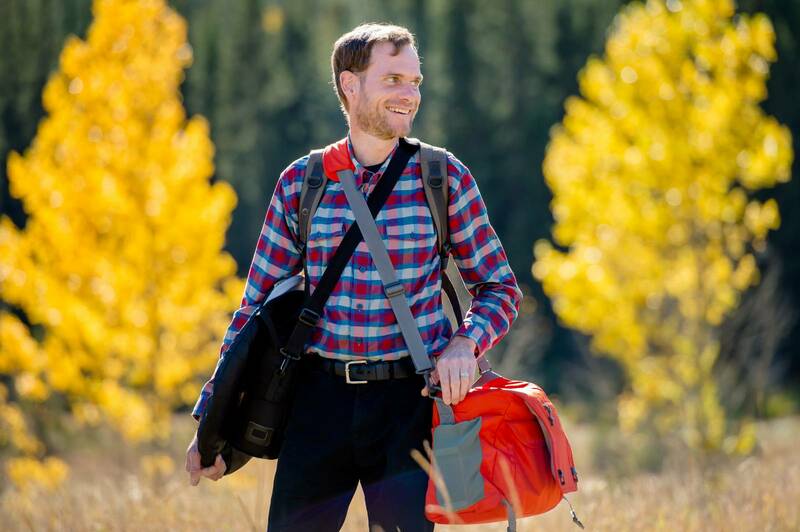 Kevin buys and stocks our camera bags with hand warmers before every winter shoot to make sure our couples feel comfortable for their portrait session. When couples want photographs in a canoe Kevin does ALL of the paddling for me while I take photographs from the front of the canoe. I am grateful to have Kevin working with me full time and honestly don't think I could do it without him. I can't wait for my couples to all meet him on their wedding day. 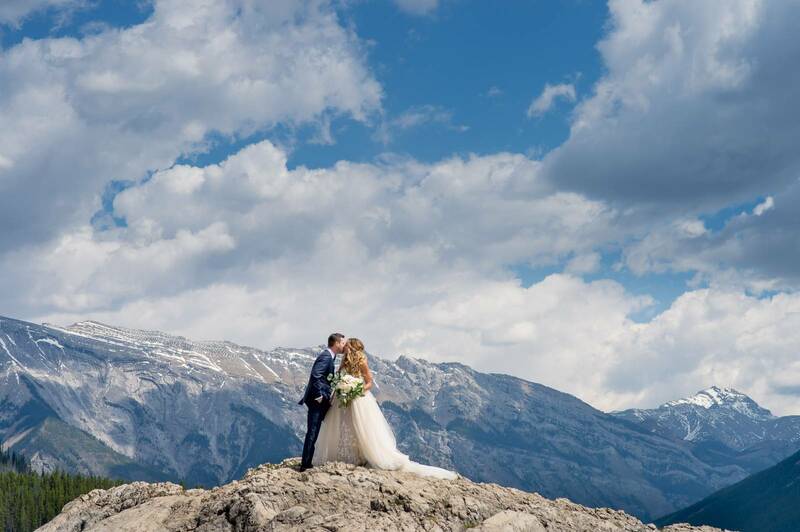 Hello my name is Kirstie and I am a wedding photographer who specializes in photographing weddings & elopements in Banff, Canmore, Lake Louise & Emerald Lake. I’ve been photographing mountain weddings since 2004 and feel very lucky to call this place home. I live in Canmore with my husband Kevin and our 2 rescue dogs Leroy & Mabel.